Grammatical goal: Reviewing structures related with six groups of the present subjunctive tense. Functional goal: Being able to express emotions and feelings, to express a purpose, to give opinions, to give suggestions and to formulate requests. Taking part in a Spanish class debate. Cultural goal: Debating different topics and current issues, such as recycling, nutrition, tobacco consumption and bullfighting. Skills: Writing and oral expression. Duration of the activity: It depends. More than one session. 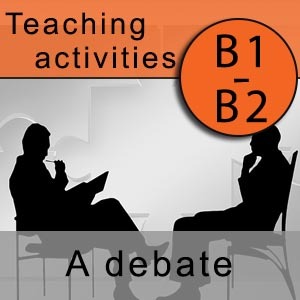 We recommend this Spanish class debate activity for students who have previously worked the six groups of expression in present subjunctive tense. The activity begins with controlled exercises that help the student interiorize the structures, and it continues with different debates aimed at enhancing free speech production. 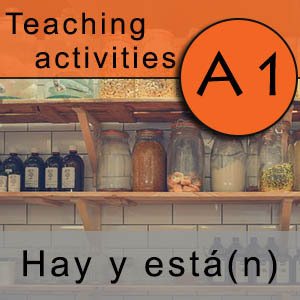 Individually, each student has to recognize each one of the structures shown in Ficha 1, and he/she has to organize them in the table in Ficha 2. 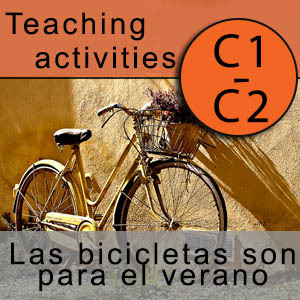 Once the table is completed, the teacher can encourage the students to remember the different rules for each kind of subjunctive. It is an exercise to complete the sentences, with the aim of fixing the structures of the Spanish class debate. The exercise can be performed in many different ways. Each one of these Fichas approaches a different topic of interest that will encourage the Spanish class debate and the use of the structures learned. The teacher will have the role of moderating the debate among the students, so they can express their opinions and feelings on the pictures and topics. 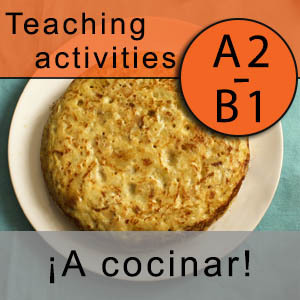 We hope you found this teaching activity useful for your Spanish class debate. 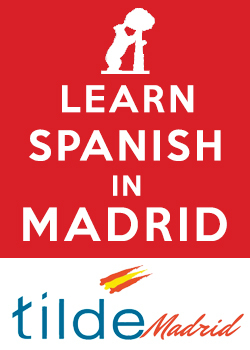 The students in our Spanish courses in Madrid consistently tell us how practical the vocabulary they learn in this activity is. Once you internalize these structures, you won’t ever fall short of words to express your opinion.